Down here in Australia at present a closed trout season and closed bass season has the casting arm twitching for some action. 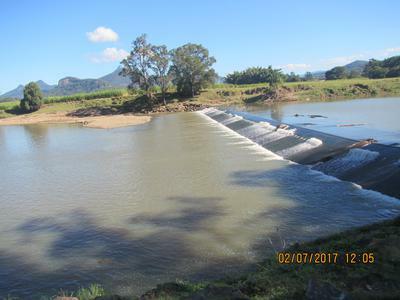 The local waterways are still recovering from the worst devastating floods in history, leaving coffee coloured rivers and lakes. 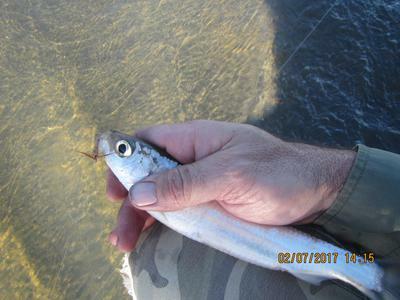 I have recently found myself finding solitude catching juvenile ox eye herring off the local weir using size 12 kebari, a Daiwa 53M with size 4.5 level line. Good fun - record 4 in a session. Thanks for sharing the pictures from Australia! So are there any native trout or bass to Australia? We have had a lot of flooding this year where I live as well. Fortunately there are a considerable number of bass and trout fisheries that are open year round. Fishing for small fish is so much fun! Nice to see your beautiful little fish! Written like a true fixed line angler. There's always a fun to catch alternative for those willing to appreciate all fish species. I'm heading out now to give a fly fishing lesson, but am taking my Nissin Fine Mode 390 for shiners and chubs while my pupil fly fishes for bluegill and bass. On a Chinese fortune cookie note: "There are many fish in the sea, maybe not as smart or as cute, but fish nevertheless." Thanks for the informative information and photos. It's always interesting to me to compare laws in different parts of the states and also in different countries. Closed freshwater fishing seasons are not something I have to think about much in Texas, but I'm guessing that it has to do with the conservation of particular species. 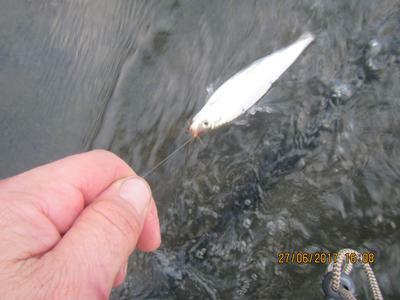 Anyway, I'm glad you have the opportunity to scratch the "tenkara itch" with a different fish! I've found that just about all fish present some kind of sporting opportunity on the right tackle. Bass are native similar to your small mouths. Our native trout are tiny so all others are introduced.